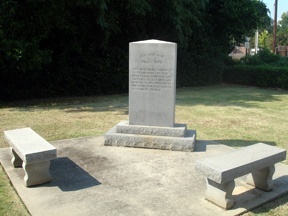 Southside Monument in Augusta GA and surrounding areas offers a variety of memorial monuments, from headstones and grave markers to statues and bronze plaques for cemeteries, civic organizations, as well as commercial organizations. 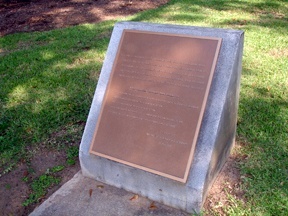 Civic memorial monuments are a perfect way to celebrate history and will enhance the beauty of a community. With our personalized engraving techniques, these monuments will expound the significance of the memorial and allow others to take on a sense of pride for the community. Your hometown is not just a place located on the map. It is more than just a city; it is a lifetime of memories. There is a history of events and more importantly…People! Honor those who have served with greatness and remember the heroes of First Responders, Sports Teams, Business Leaders, Civic Leaders or those who have served in the Armed Forces by erecting a Civic Memorial Monument in their honor or memory. When selecting traditional memorial monuments such as headstones and grave markers for your loved ones who have departed, Southside Monuments is the place to visit. We are experienced in assisting families with individual or companion monuments while considering future plots so there is a uniform appearance to your family section. 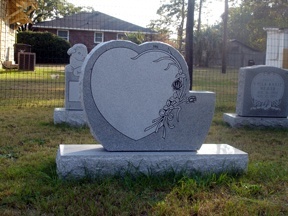 Choosing headstones is beneficial for families to honor their loved ones and is also helpful in the healing process. It is our desire, as family members, to express the respect and love to those who have had such a great impact on our lives. Beautiful memorials speak an everlasting and universal language while alleviating the pain and sadness of death and magnifying the powers of life. Every family or individual selects memorial monuments in different ways to meet their own unique needs and desires. Since a memorial is the "one-purchase" item most families will ever buy, Southside Monument only provides personalized engraving, fine material and the best craftsmanship possible. Browse our photo gallery to see samples of different memorial monuments.